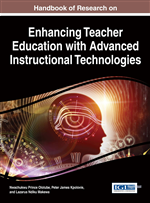 This chapter evaluated the potentials of selected information and communication technologies in adult education programmes in Nigeria. Infrastructure and funding are among the important issues, but scepticism about the pedagogic value of information and communication technologies and staff development are probably the most challenging. Institutions are grappling with bringing use and funding of e-learning and other computer-based instructional strategies into the mainstream of their organizations, and are beginning to contemplate restructuring to take account of information and communication technologies, in terms of staffing, staff development, course design and student support. Even though studies have captured the imperatives of information and communication technologies in Nigeria's educational system, little is still known about the subject matter in relation to adult education systems in the country. Consequently, this chapter explores and provides the much-needed insight on the subject and the issues that the process raises in the context of adult education in Nigeria. Economic, social and technological forces continue to change the global economy, and the way of life in organizations and the world in general. Further, these forces have and continue to revolutionize teaching and learning. Urdan and Weggen (2000) related that technology, the rapid devolution of knowledge and training, the need for just-in-time learning delivery systems, and the search for cost-effective ways to meet learning needs have redefined the processes of education across the world. Despite the fact that information and communication technologies has gained serious momentum in tertiary educational institutions in more developed countries such as America, Britain, Canada, Japan, France to mention a few, over 80 percent of developing countries have still not fully adopted it. For example, the case of information and communication technologies in Nigeria’s tertiary institutions of learning seems very bleak. A study on graduate students’ access to information and communication technologies facilities in Nigerian universities conducted by Bassey (2007) found out that over 80% of graduate students in the country lack access to e-learning facilities in their various universities. In the same vein, Odusanya and Bamgbala’s (2002) study revealed that the majority of final year students at the College of Medicine, University of Lagos had limited computer skills and only 23 percent of the students had used the Internet for medical search. They concluded that the Nigerian student population is computer-deficient. Similarly, Adonni and Anie (2006) reported that Nigerian industry asked universities to deepen the existing knowledge levels of ICT skills of University graduates. According to them, industry was concerned about levels of graduate skills in online/Internet searching systems, management and computer keyboarding. However, despite this unsavoury state of affairs the National Universities Commission (NUC), the government agency responsible for registering and regulating Universities, have prescribed personal computer (PC) ownership as follows: 1PC to 4 students, 1PC to 2 lecturers below the rank of lecturer 1, 1PC per senior lecturer and 1 notebook per Professor/Reader (Okhiria, 2007). Some universities like Nnamdi Azikiwe University, have met this PC-lecturer ratio, but are unable to meet that of students. In contrast of the Nigerian situation, a study of the qualification of employees in South Africa’s ICT industry revealed that there are very few post graduates in the technical group of employees. This poses the question of whether the ICT industry had developed to a level where the services of post graduates are no longer required or whether the current employees are just under qualified (Urdan & Weggen, 2000). Indeed, human resource is the most important factor for the success of any organization or economy. New knowledge and techniques are occurring all the time. Therefore, one must be trained and retrained from time to time in order to be relevant and retained in his job. And that is one of the main concerns of adult education. Education and training may be done either in the classrooms or through the e-learning mode. The e-learning mode and other information and communication technologies make it convenient for lifelong learning. The engine of economic growth will be the process through which an economy creates, applies and extracts value from knowledge. This belief is corroborated by Giddens (2000) that the intensifying of globalization has been deeply influenced by the information technology (IT) revolution, while the knowledge economy itself is becoming globalized. In other words, technological innovation will still be a powerful force in the 21st century. For example, goods, services, investment, and information can be traded more cheaply and rapidly due to the advanced information and communication technology that underlies e-commerce and the Internet (Pachpakdi, 2000). Information and communication technologies are being employed to transfer and control the flow of information, knowledge, money, and goods and services across national boundaries. Information and communication technologies as a catalyst for change and innovation is more than a technical fix of problems; it is a tool for enabling people to participate in the process of social and economic renewal and development. E-Learning: It is used to refer to an electronic learning involving the use of information and communication technology (ICT). Teleconferencing: A system of teaching learning process involving the use of computers and telecommunication equipment. Teaching-Learning Process: The real action time or period of imparting knowledge, skills and attitude to adult learners by the adult facilitator or through the electronic media. Instructional Media: It is used to refer to a means of transmitting knowledge and skills to the adult learners using electronic devices to ease teaching – learning process. Information and Communication Technologies: The application of electronic computer and communication technologies in information gathering, processing, sharing and retrieval involving the use of telecom, telephone, satellite, text, Internet, e-mail, fax, video, radio and television. Worldwide Web: An information service that links the whole world together such that any person in any part of the world can access the information no matter the location. Adult Education: A kind of education given to people with a reservoir of experience. Education for people who are responsible in all directions so that they can fend for themselves and others even in critical situation to enhance societal development. Adult Education Programmes: These are the various multifaceted activities of adult education which an adult learner engages or participate in order to change his attitude, skills, enhance knowledge and promote community development. Internet: The unification of computers in such a way that all concerned will share information and other materials in common all over the world.